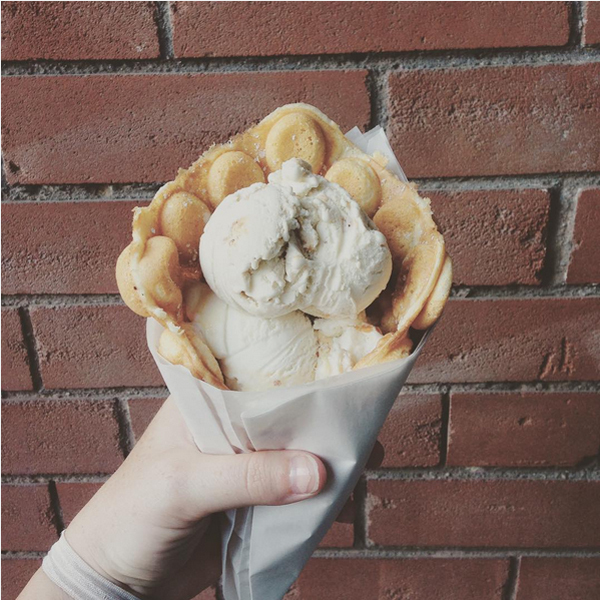 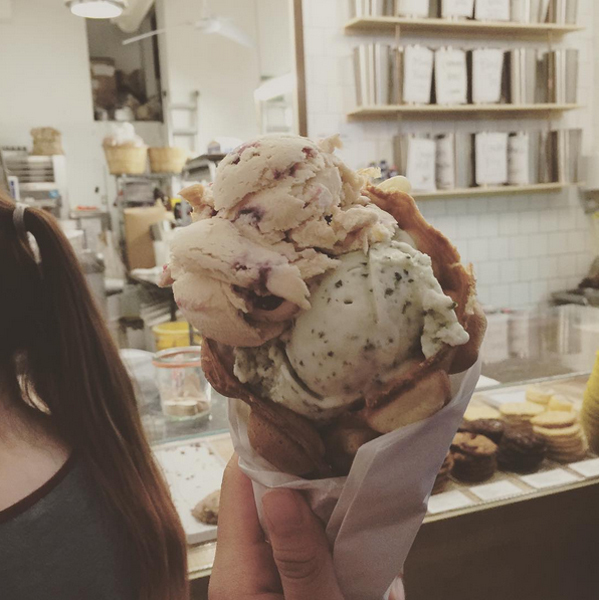 It used to be that your only options when getting ice cream were sugar cone, wafer cone, waffle cone or cup. 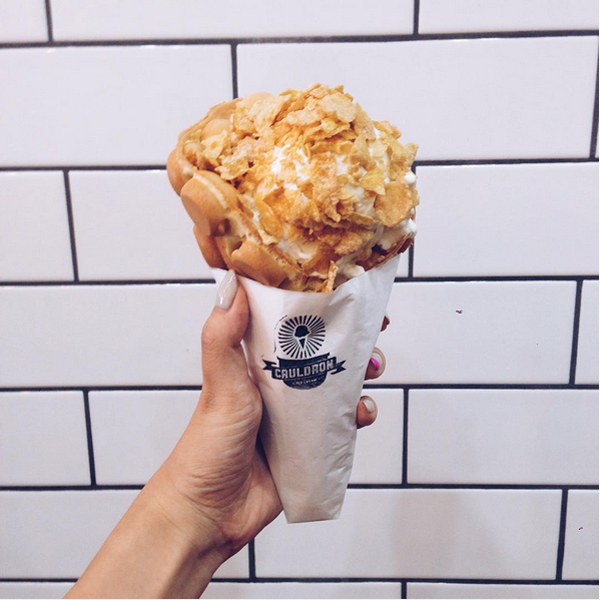 But two ice cream shops in North America are changing all that with the puffle cone. 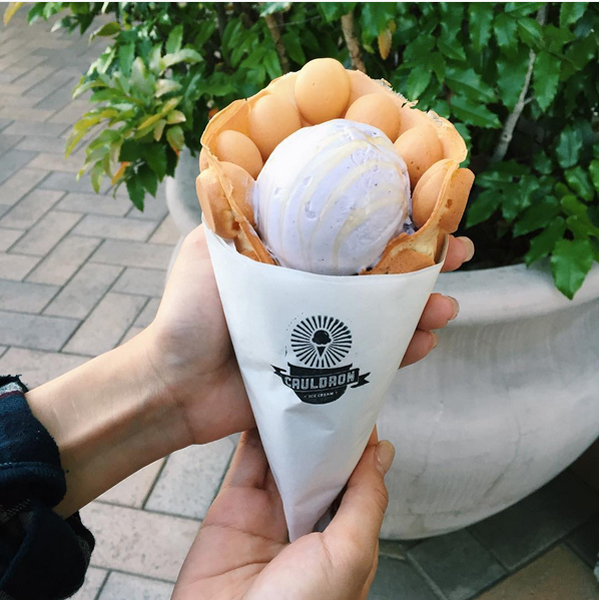 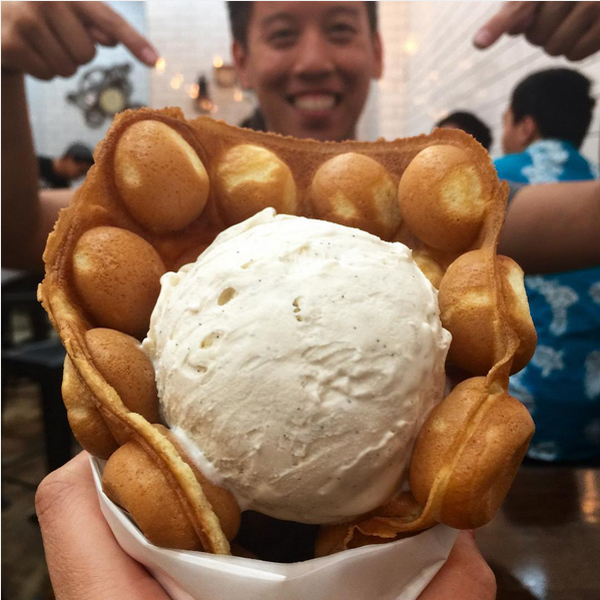 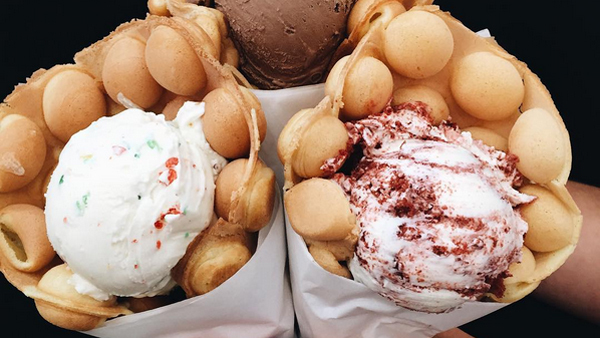 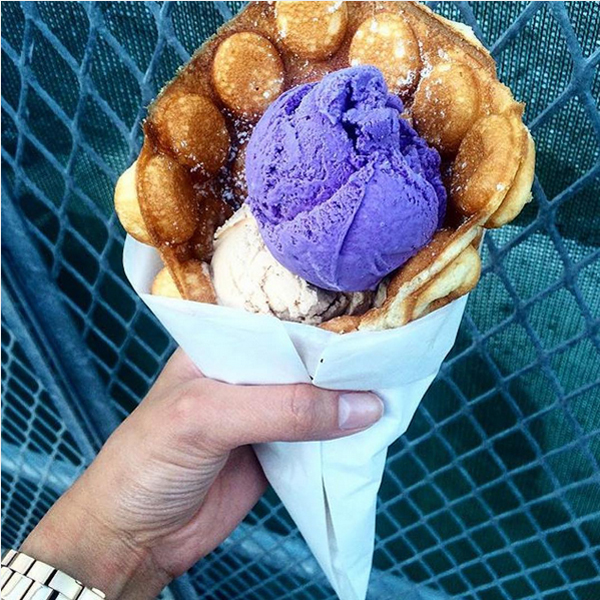 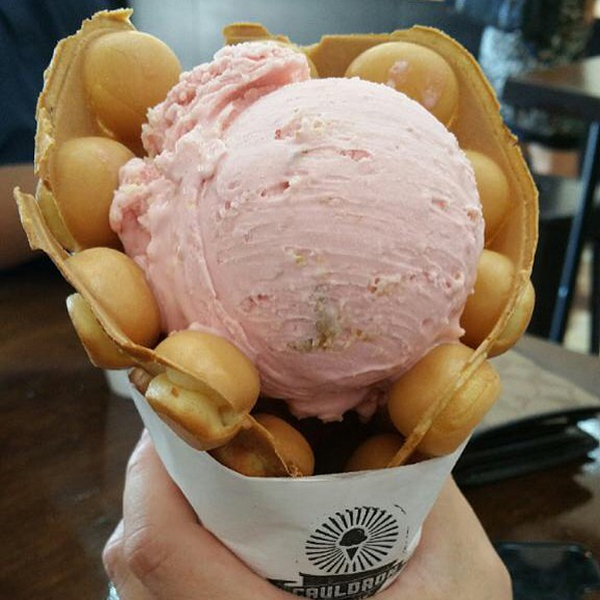 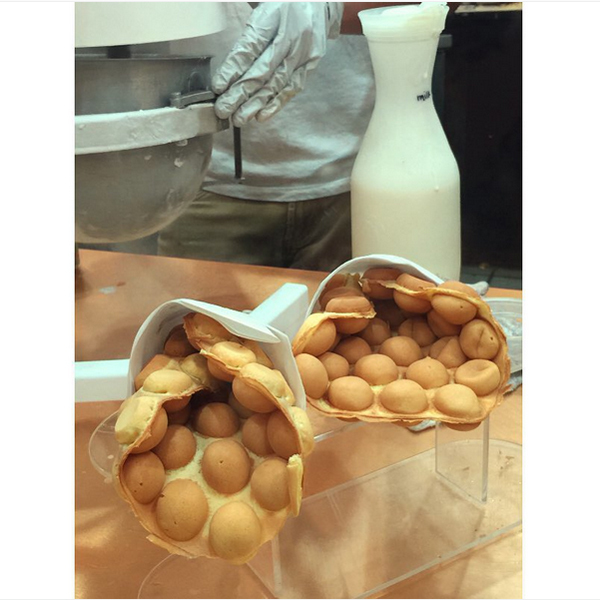 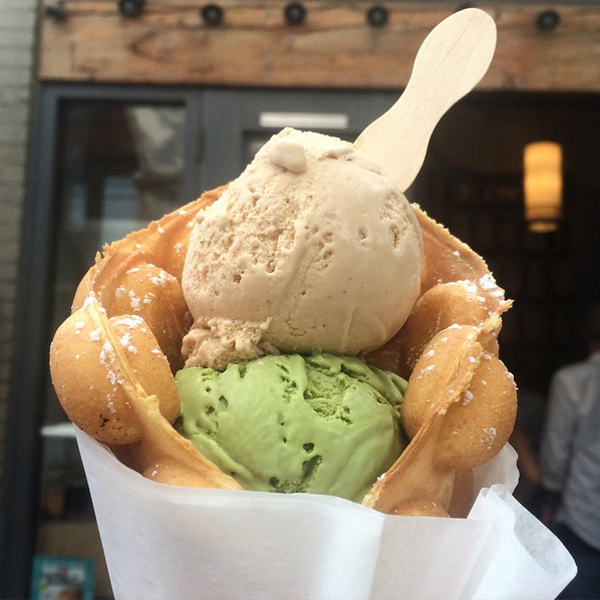 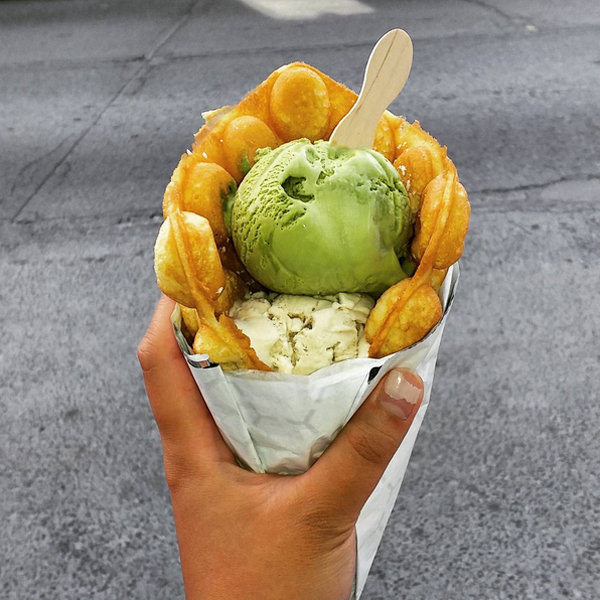 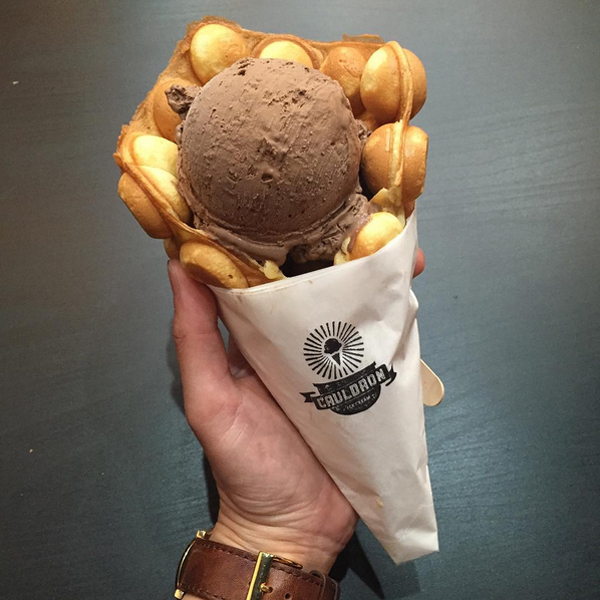 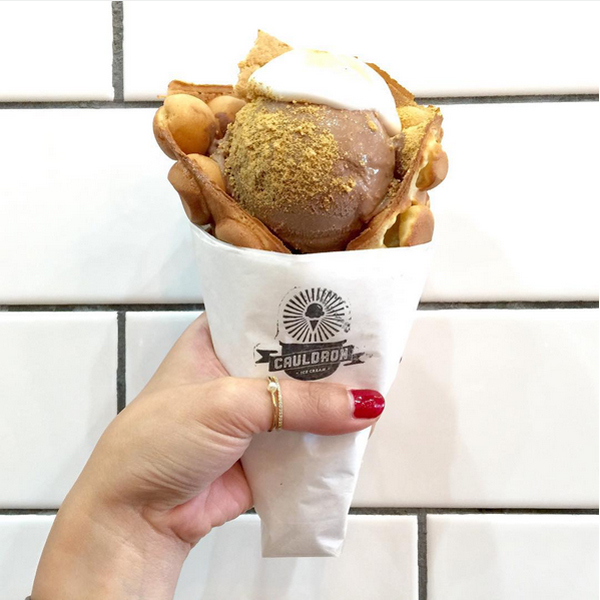 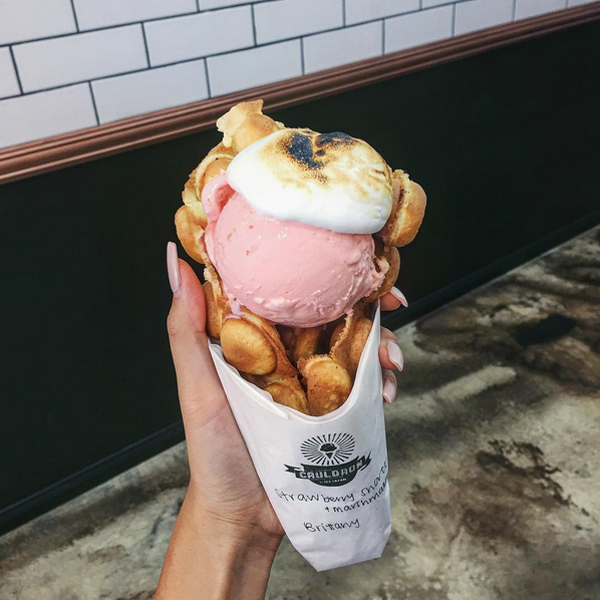 Based on the Hong Kong egg waffle, these sweet and puffy cones are the perfect way to amp up your favorite frozen treat. 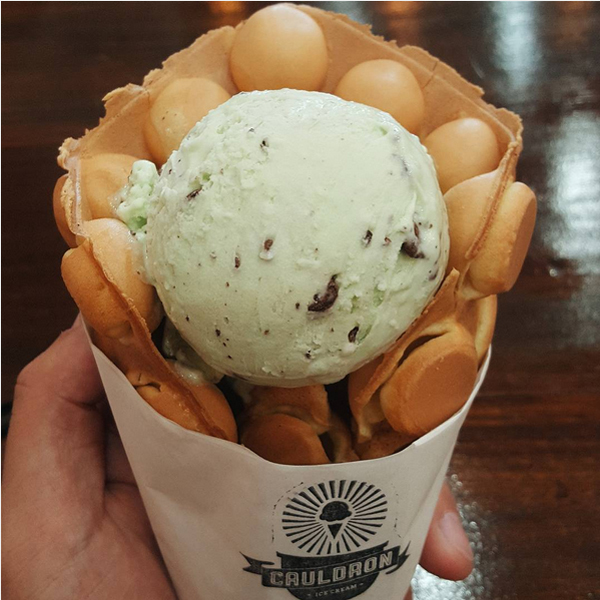 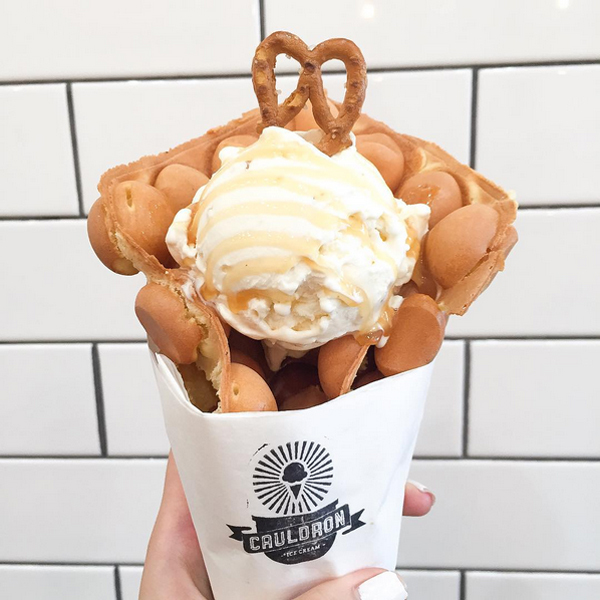 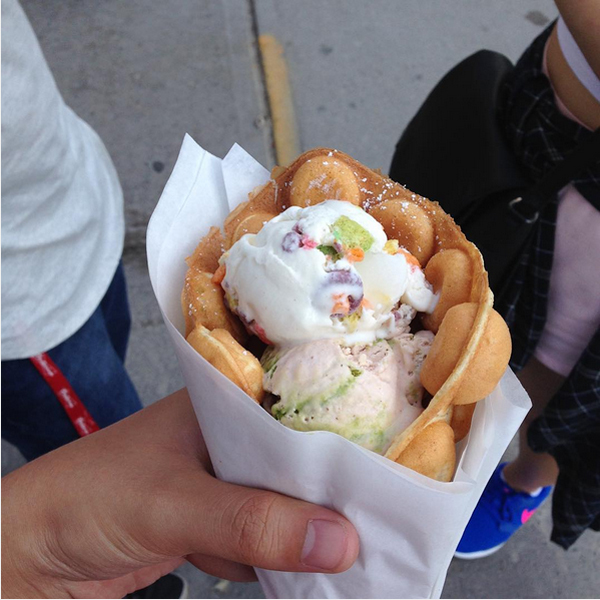 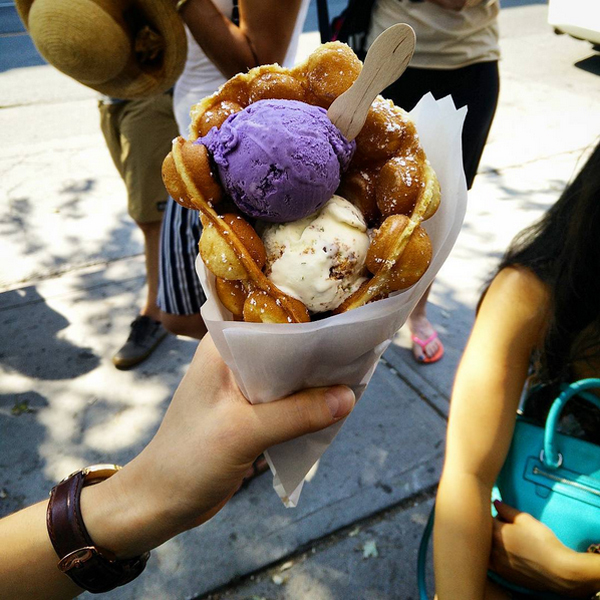 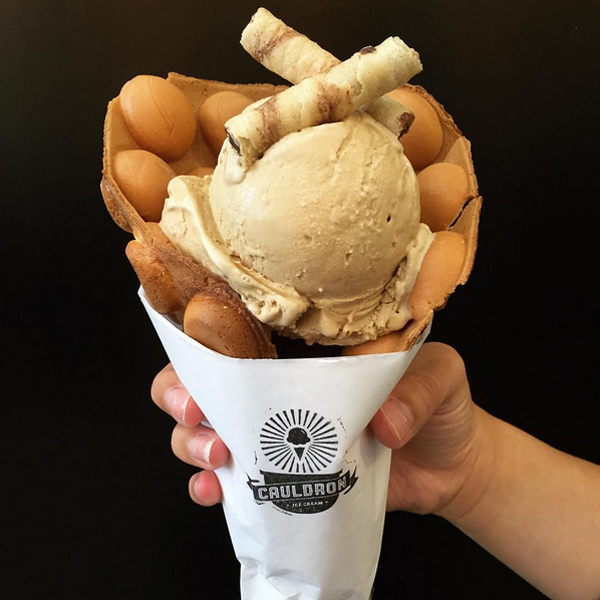 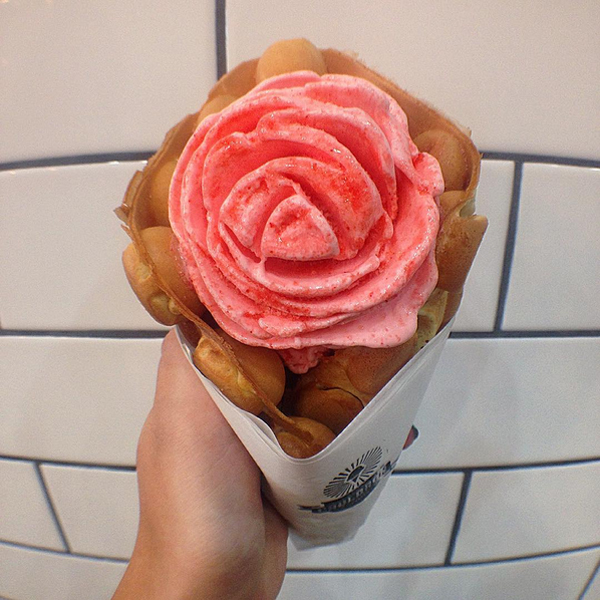 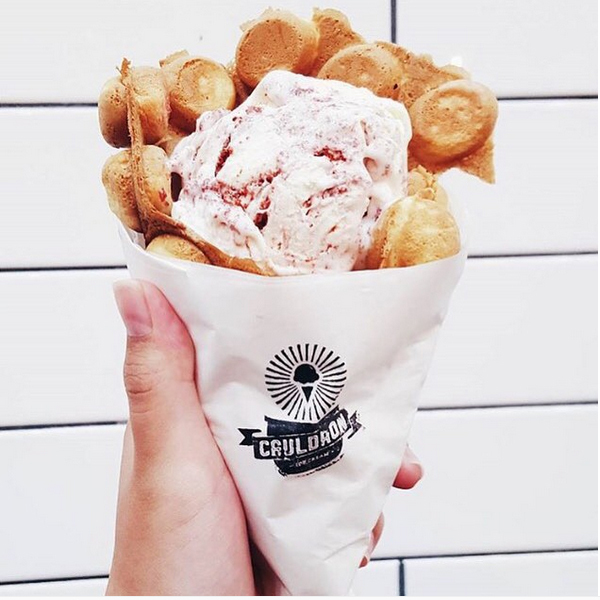 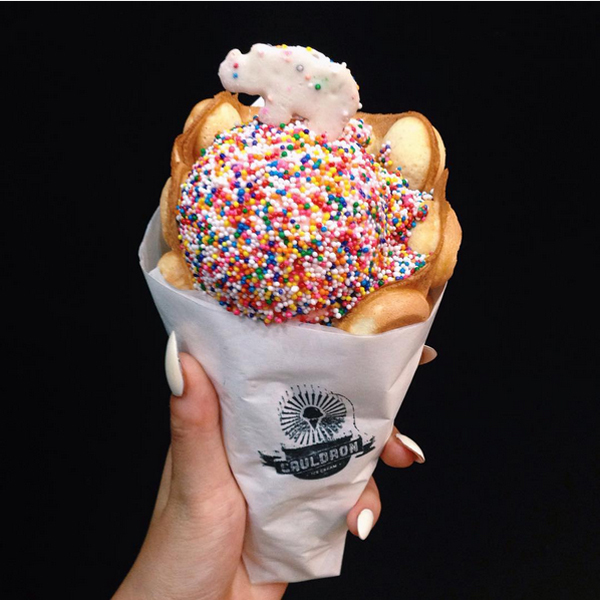 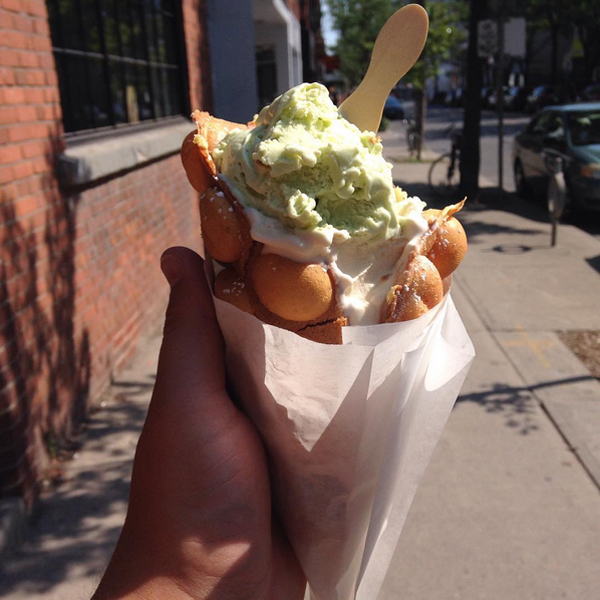 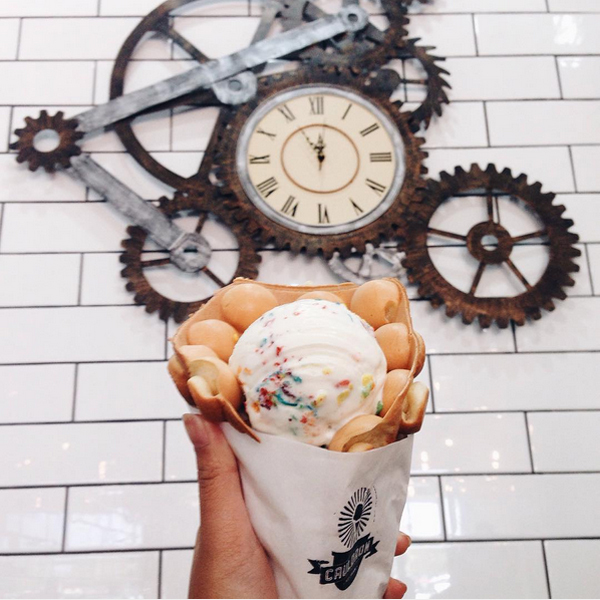 If you live near Cauldron Ice Cream in Santa Ana, California, or Bang Bang Ice Cream in Toronto, Canada, you should definitely get out there and try one of these babies ASAP. 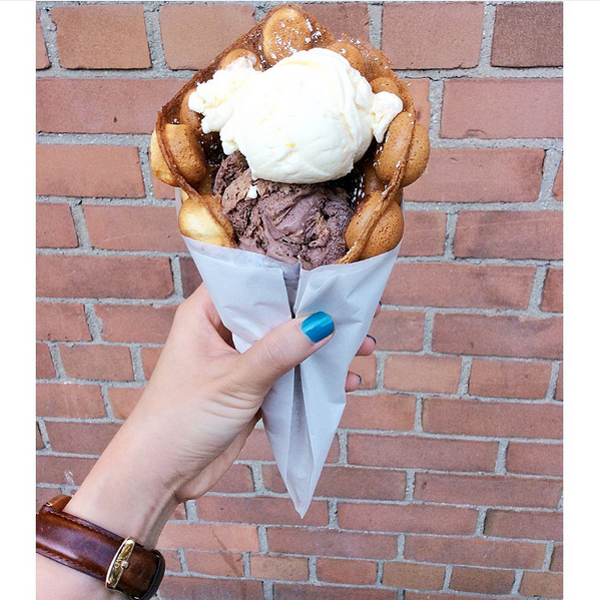 And if not, might we suggest a road trip?